Just over a year ago, the ALA Executive Board directed the Digital Content and Libraries Working Group (DCWG) to pursue more aggressive strategies to get ebooks into the hands of library patrons at a reasonable cost and under reasonable terms to libraries. This was to take the form of developing stronger messaging with the media, looking at collection-development alternatives to buying ebooks from the Big Six, and building a broader support base among stakeholders. At the same time, ALA still seeks mutually beneficial partnerships with publishers around a common goal of bringing authors and readers together and supporting literacy, as well as a lifelong love of reading and learning. While there is no consensus among publishers (or in some instances, librarians) about the “correct” way to enable library ebook lending, there has been positive movement. On the heels of a price increase from Hachette Book Group, ALA President Maureen Sullivan issued an open letter to America’s publishers. It called on all publishers to allow library access to their ebooks and singled out three of the Big Six publishers that, at the time, did not provide access to their ebooks in US libraries: Simon & Schuster, which has never consistently let its ebooks be available through libraries; Macmillan, which at the time was developing a pilot program that has since begun; and Penguin, whose pilots were only in select US cities but have since expanded. Sullivan was also invited to speak at a September 2012 Association of American Publishers meeting where she encouraged continued dialogue but also made it clear that ALA would be undertaking stronger and more strategic action to persuade publishers to deal with libraries fairly. Libraries, ALA, and other library organizations would work to strengthen our collective position in multiple ways in coming months. Engaging librarians at the grassroots level and making sure they are well apprised of the range and depth of ebook issues grew more important as ALA and the DCWG became more assertive. One of the most challenging issues is to better understand the various terms through which libraries can license and lend ebooks made available to them. As licenses are contracts, libraries receive only the rights articulated in agreements with publishers and/or ebook distributors. 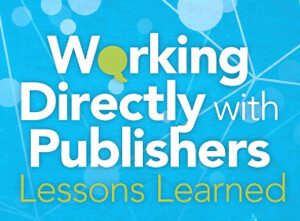 To help librarians navigate this issue and strengthen their ability to negotiate, DCWG first published “Ebook Business Models for Public Libraries” (PDF file), then followed with the ebook business model scorecard (PDF file), which allows librarians to compare and weigh the variables to come up with the most favorable terms for their libraries. These tools help librarians be proactive in any license negotiations that may need to take place to ensure the best deal for each library. An accompanying survey of librarians will in turn inform DCWG advocacy with publishers regarding what attributes are most essential and whether those attributes vary significantly by library size or other demographic characteristics. Because librarians often ask, “What can I do?” DCWG also set about developing an ebook media and communications toolkit. Librarians can now use the guidelines and templates to engage with local media and inform the public about what’s going on regarding library ebook lending. They can also use the toolkit to persuade the press to bring attention to libraries’ plight. Local news coverage continues to grow and become more nuanced about the issues as more libraries add their voices to the conversation. DCWG member James LaRue, director of Douglas County (Colo.) Libraries, and his staff developed a monthly price comparison chart of the ebooks available to them. Besides documenting obvious price differences between what consumers pay and what libraries pay, the charts contain some glaring empty spaces representing ebooks that libraries cannot obtain at any price. Similarly, the State Library of Kansas captured attention when it launched a Facebook page that lists ebook titles that publishers refuse to sell or license to libraries. The approach uses a highly visible platform to educate the public and build a large, sympathetic audience of library patrons and community supporters. Pierce County (Wash.) Library System rallied community action through its timely fall 2012 Scrooge campaign. The library system posted the email addresses of several publishers, along with a draft message urging publishers to stop overcharging libraries for ebooks. These examples illustrate how coordinated local action can shed light on the impact of limiting the public’s access to digital content. DCWG members routinely present at state association conferences, international venues, and through writing opportunities in local and national media to alert everyone to the concerns of the library community and to explain why the public should also be concerned. 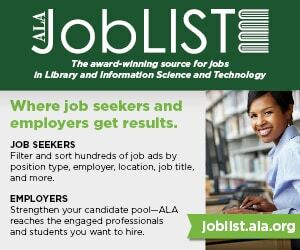 These presentations, in addition to programs at ALA conferences, allow librarians to voice their concerns and ask questions. They can also stay informed by reading American Libraries’ E-Content blog and AL’s weekly e-newsletter, AL Direct, which has an e-content section. And if you’re looking for other ALA resources on digital content, visit Transforming Libraries’ Ebooks and Digital Content website. Keeping ALA membership engaged and informed remains a critical goal for DCWG. While hoopla in the public library arena drove DCWG’s initial focus, our recent focus has also included the school library digital content market. Encouraged by early meetings with the Big Six trade publishers, ALA leadership met in fall 2012 with executives from Scholastic and Rosen Publishing to learn about major trends and issues for the school library market and establish a long-term working relationship. Issues for school librarians have a few important distinctions from those of public librarians. Though the school library may have similar ebook needs for student-selected books, K–12 librarians also have to support teacher-directed reading. Classes often demand a license that allows for simultaneous access by a large number of students. For example, an entire 8th-grade class may need ebook access for two weeks while students read Lord of the Flies. In addition to the issue of simultaneous access to copies, K–12 students are likely reading backlist titles like Catcher in the Rye that aren’t always available digitally. So the school library ebook market has a larger number of variables to address when attempting to describe the ideal ebook system. On the flip side, many publishers have a dedicated focus on the school market, providing greater leverage for the libraries they serve than exists between public libraries and bestselling trade press. The fall meeting with Scholastic and Rosen was the first foray into what has become a strong interest of DCWG and ALA leadership. 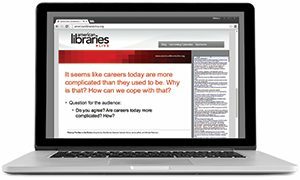 What began as a discussion about ensuring that students have access to ebooks has now grown to include something bigger: the value school librarians bring to the K–12 ecosystem and future trends in the school library and youth market (such as interactive and multimedia nonfiction texts). The collaborative conversation goes beyond ALA’s New York meetings with publishers. Last fall, ALA staffer Marijke Visser and DCWG member Christopher Harris attended School Library Journal’s Leadership Summit, where conversations with several intermediaries and publishers provided further insight into the trends in the K–12 market, including what amounts to a pay-per-use model through Brain Hive. While this model is a relatively new entrant, such an approach is one that DCWG members have considered as one of the ebook business models they have put forward. Could the Brain Hive model be a case study for consideration beyond the K–12 community? It is clear that the relationships between school libraries and school publishers and aggregators have particular characteristics that could inform the work DCWG undertakes with trade publishers and in the self-publishing sphere. School libraries are already accessing ebooks using a variety of business models, including annual subscriptions, pay-per-use, perpetual licensing, and single-user reading. Though some characteristics are different, successful models from schools can help inform public library ebook discussions, as well. The many activities that took place in 2012 and the beginning of 2013 laid a solid foundation on which to build in the coming months. ALA has a deeper appreciation of the various players in the ebook ecosystem and the range of issues and interests each brings to the marketplace. 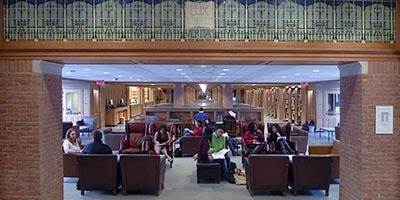 By establishing new relationships, we’ve generated greater understanding of library concerns and opened channels for creating new, mutually beneficial arrangements. Through our discussions, meetings, resource development, blog postings, and member feedback, we also know there is more work ahead. Improved integration of multiple third-party systems with library catalogs and websites so patrons can more easily navigate and access library resources across vendors. The start to 2013 showed that the publishing and ebook landscape continues to shift, with the proposed merger of Penguin and Random House topping the news. As of this writing, it is unknown how the merger will directly affect the library ebook market, but perhaps it will lead to an opportunity to move forward with some licensing scenarios and more aggressive pilots. We also note the positive developments from Penguin, Simon & Schuster, and Hachette Book Group in the springtime. The DCWG and ALA leadership will continue to pressure the larger publishing houses in the coming year, but plans are also underway to broaden the conversation and the focus. An important lesson from previous meetings with publishers is the importance of looking at the entire ebook ecosystem, which includes aggregators, intermediaries, literary agents, authors, and readers. Rather than wait for the tide to turn in libraries’ favor with the large publishers, what progress can ALA make with these other stakeholders? Engaging authors and readers directly may prove an effective tool toward increasing pressure on larger publishers, even as, possibly, libraries add new titles to their collections from self-published writers and smaller publishing houses. Exploring, documenting, and disseminating successful library practices for supporting discovery of these authors and new e-titles will increase our value in the ecosystem as well. To encourage exploration, how does your library translate readers’ advisory and face-out displays of physical books into the digital age? Stepping even further into evolving areas, DCWG has begun to explore the possibilities for libraries to market, provide access to, and facilitate the production of digital content. What else is underway in 2013? The lack of a systematic means to archive and preserve ebooks is a serious problem (as Clifford Lynch describes in his article in June 2013 American Libraries Digital Supplement, beginning on page 12). Under current Big Six licensing terms, libraries cannot fulfill their mission of preserving the nation’s cultural heritage. A careful look at the privacy issues involved in providing digital content and accessibility concerns for people who have barriers to accessing digital content—such as visual impairments or physical limitations—are also on the 2013 docket. A clear message heard at the 2013 ALA Midwinter Meeting was that the work of DCWG is far from over. Not only do we need to see more progress with large publishers, but we need to also explore new opportunities beyond the Big Six—and perhaps even beyond the ebook as we know it. 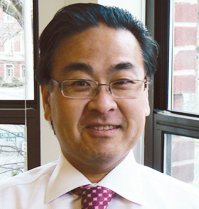 (See Peter Brantley’s article in the June 2013 American Libraries Digital Supplement, beginning on page 22). A bumpy road still lies ahead, but with some solid work and useful tools in place, the future challenges are ones DCWG is prepared to meet. BARBARA STRIPLING is ALA president-elect. MARIJKE VISSER is assistant director in ALA’s Office for Information Technology Policy. SARI FELDMAN is executive director of Cuyahoga County (Ohio) Public Library and cochair of ALA’s Digital Content and Libraries Working Group. ROBERT WOLVEN is associate university librarian at Columbia University and cochair of ALA’s Digital Content and Libraries Working Group.